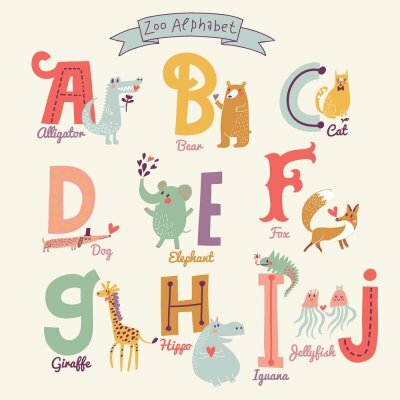 Although all kindergarten schools teach children basics like the alphabet, there are some crucial differences between a typical kindergarten and a high-quality early learning center in Pembroke Pines. Given the critical importance of early childhood education for your child’s future, it’s wise to invest some time in researching the right school for your child. Even if you select the best available kindergarten school for your child, he or she will only thrive there if he or she is ready for it. Kindergarten readiness can be difficult for parents to assess; consider talking to your child’s preschool teacher about whether he or she might be ready for the next step. It may seem counterintuitive that holding a child back an extra year would give him or her a head start, but in fact, enrolling a child in kindergarten before he or she is ready can adversely affect academic progress in kindergarten and the later grades. To determine if your child is ready for kindergarten, consider whether he or she has basic academic, gross and fine motor, and socio-emotional skills. What does the Curriculum Offer My Child? When your child is ready for kindergarten, take a close look at the curricula of the schools you’re considering. Children benefit from a dynamic and engaging curriculum that gives them a foundation for success in first grade and beyond. Kindergarten curricula should include the basics of mathematic reasoning, language arts, geography, and science. Another question to consider when choosing a kindergarten school is whether your child will need afterschool care. If so, look for a kindergarten that offers age-specific afterschool groups supervised by professional, trained staff members. An ideal afterschool program for kindergarteners includes a designated time for homework and learning, along with time to relax and have fun with arts and crafts. Does the School Have an Acceptable Safety Policy? Safety is a top priority of parents, with good reason. Check the kindergarten’s website for a school safety policy or ask the representative during your tour. Before you select a kindergarten, make sure you know what the drop-off and pick-up policies are, and how the school will keep your child safe during outdoor play. Teaching your child good handwashing habits from an early age can help keep him or her healthy as he or she enters preschool or day care and comes into contact with germs from other kids. At child care near Pembroke Pines, your child may have access to child-sized bathroom sinks or footstools. At home, he or she will definitely need a footstool to reach the faucet easily. Wash your hands with your child to teach him or her the proper technique. Demonstrate wetting the hands with warm water and then scrubbing all the areas thoroughly with soap. If your preschool student resists proper handwashing, consider watching this brief video with him or her. It features a registered nurse who helps a little girl understand that even though her hands may appear to be clean, they can actually have lots of germs on them. She recommends that parents and day care centers teach kids a special “Wash, Wash, Wash Your Hands” song, which is sung to the tune of “Row, Row, Row Your Boat”. It can be difficult for a parent to see a child have difficulty coping with departures, but separation anxiety is a normal part of childhood development. Ironically, some childhood development experts believe that separation anxiety is actually an indicator of the newly discovered independence of a child because he or she is attempting to exert control over the situation. When it’s time for your preschool student to say goodbye at the learning center in Pembroke Pines, there are some strategies you can use to ease the transition. In time, your child will start to look forward to arriving at the early learning center . Children thrive on consistency. When your child is ready to enter preschool, you might ask him or her to help you create a secret handshake or another special goodbye ritual. Some parents use a special phrase for the departure that reminds their children that they’ll be back to pick them up. For instance, you could say, “See you later, alligator”. Use this routine each morning to help your child feel more secure. Picking your child up at the same time every day may also help him or her feel better. Call the early childhood education center ahead of time to inquire about its policy on personal possessions. Then, ask your child to help you select a comfort item that he or she can take to preschool. Remember to label the item clearly with your child’s name. It’s never a good idea to try to sneak away without saying goodbye. However, you should also avoid long goodbyes. When it’s time to leave, do your departure ritual with your child, remind him or her that you’ll be back soon, and then leave promptly. If it seems to take a while for your child to adjust to saying goodbye, pretend play may help. At home, have your child select a couple of dolls or stuffed animals. Designate one doll as the mother or father and the other as the child. 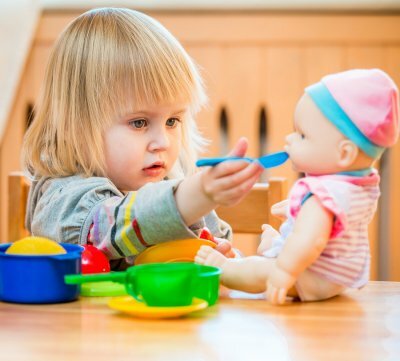 Then, you and your child can use the dolls to act out the scenarios of leaving the child at preschool and going back for him or her at the end of the school day. When it comes to your child’s education, only the best will do. Learning and development start early in life, and a great preschool near Pembroke Pines will help your child succeed now and later. There are many aspects to consider when you are choosing a preschool for your child, such as excellent staff and teachers, cleanliness and safety, and licensing. A great preschool should be able to provide a solid basis for its curriculum, which should include social and emotional development along with academic learning. Take a look at this infographic to learn more about what you should look for when you’re choosing a preschool for your child. By choosing a great preschool, you’ll give your child a head start on success in life. Please share with your friends and fellow parents.